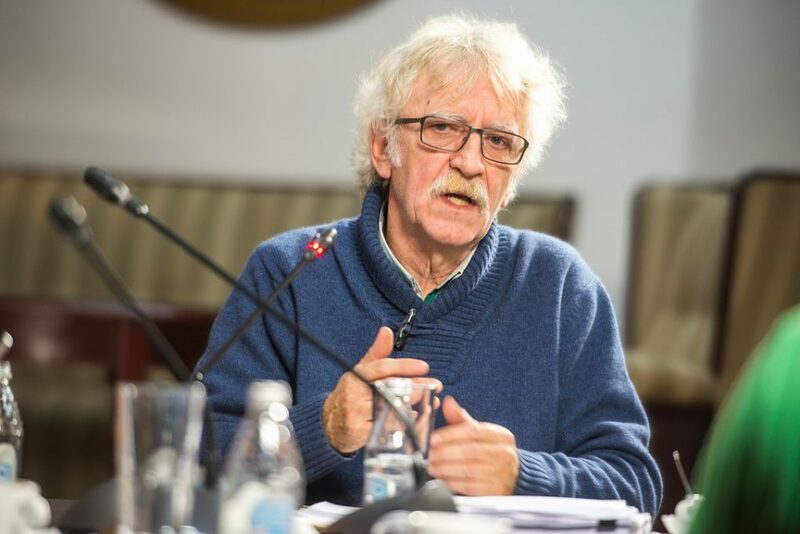 Vladimir Milcin, who for decades ran the FOSM Open Society foundation in Macedonia, sub-commented on the proposal to nominate Zoran Zaev and Alexis Tsipras for the Nobel peace prize over their deal to rename Macedonia into North Macedonia. Without additional comment, Milcin posted a news report about how Hitler, Stalin and Mussolini were also nominated for the award, in a clear snub aimed at Zaev’s and Tsipras’ achievement. Milcin was an outspoken supproter of Zaev’s during the Colored Revolution which his SDSM party started in 2015. Dozens of NGO groups supported by FOSM were actively participating in the protests, often under Milcin’s personal oversight, and their acceptance of significant funds from USAID and the European Union raised the issue of foreign interference in the toppling of the Nikola Gruevski Government. Milcin was on a warpath against Gruevski ever since under the lustration process, which Gruevski initiated, his Communist era secret police file was opened and it was revealed that he had spied on acting legend and dissident Risto Siskov, who was imprisoned for years for criticizing Yugoslav leader Marshall Tito and died shortly after release. Still, during the Colored Revolution Milcin resigned from FOSM and after a while grew critical of the deal to rename and redefine Macedonia. While he still hasn’t “gone to the mountains” and started a guerrilla war against the renaming, as he told The New Yorker he would do in 1995, with his Facebook comment Milcin is now officially the most bitter among the disappointed former supporters of the Zaev regime, but is also one of the most responsible for his political rise.